Lochmaben is an ancient town lying four miles west of Lockerbie on the main road between it and Dumfries. Its location is unusual as it is hemmed in by three separate lochs: Castle Loch to the south, Kirk Loch to the south west, and Mill Loch to the north west. 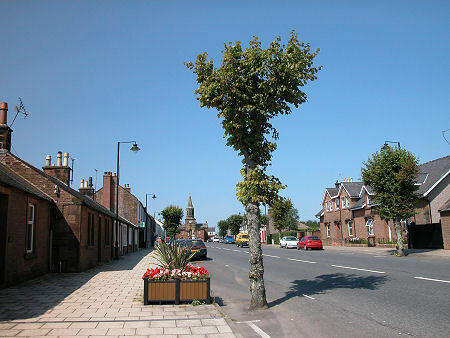 Today's Lochmaben is built around its High Street. This broad tree-lined road runs between the Parish Church, completed in 1820 at its southern end, and the attractive red stone Town Hall at its northern end. 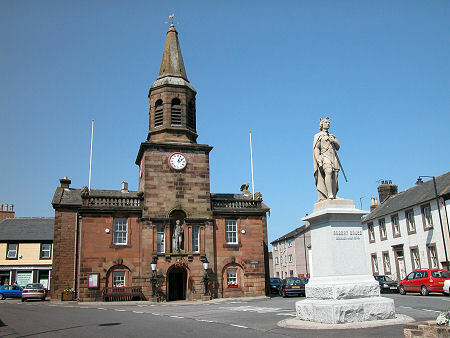 The Town Hall is by far Lochmaben's most impressive building. 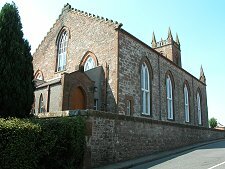 It was built in 1877 and includes the steeple and other parts of an earlier Town Hall, built in 1723. 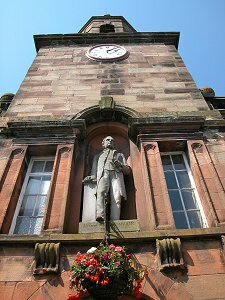 In 1887 the niche in the centre of the front of the hall became home to a larger than life statue of the Rev William Graham, a local historian. 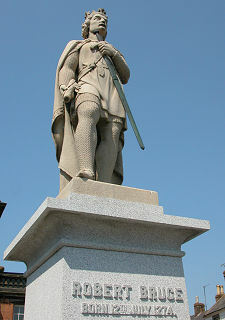 The Rev Graham's statue has spent its whole life eclipsed by the far more striking statue of Robert the Bruce placed on its plinth in the market place in front of the Town Hall in 1879. 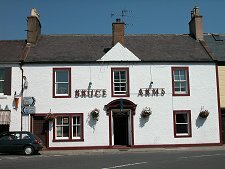 Bruce's connections with the town are also reflected in the name of one of its pubs, the Bruce Arms. The southern end of Lochmaben wraps around the northern end of Castle Loch. 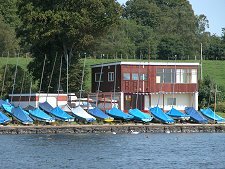 Here you find many of the town's leisure facilities including sailing, tennis and bowls clubs. Lochmaben's origins date back at least as far as the building of a castle here by the Bruce family in the 1160s. If you follow the brown tourist signs to Lochmaben Castle today they lead you to the ruins of a later castle, a massive stronghold built on a promontory at the southern end of Castle Loch by Edward I of England in the years either side of 1300. The earlier Lochmaben Castle was probably dismantled at the time of the building of its successor. It occupied a site between Castle Loch and Kirk Loch, now marked only by a motte a little to the west of the Parish Church. Lochmaben's fortunes have varied over the last 900 years. 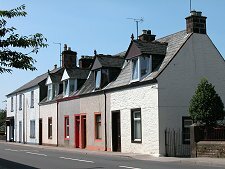 In 1827 it was described as the poorest Royal Burgh in Southern Scotland. In 1863 a station opened in Lochmaben on the branch railway from Lockerbie to Dumfries, now long closed. The textiles industry came to the area in the 1800s before diminishing in importance. In more recent years a large cheese processing plant has brought significant employment to the area.